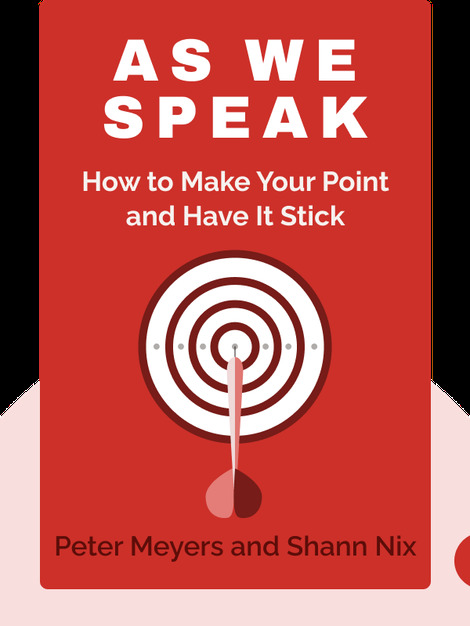 Whether you want to speak more effectively at business meetings or deliver a memorable school presentation, As We Speak (2012) outlines the proper techniques to win over an audience in a matter of seconds. 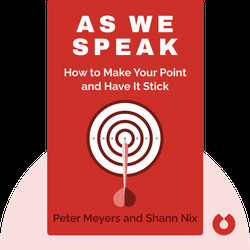 You’ll learn how to move and talk with purpose and get your message across. Peter Meyers is the founder of Stand & Deliver Consulting Group. An award-winning actor, Meyers also teaches classes in performance and leadership at Stanford University, the Esalen Institute and the International Institute for Management Development in Lausanne, Switzerland. Shann Nix is an award-winning journalist, novelist, playwright and radio talk show host.